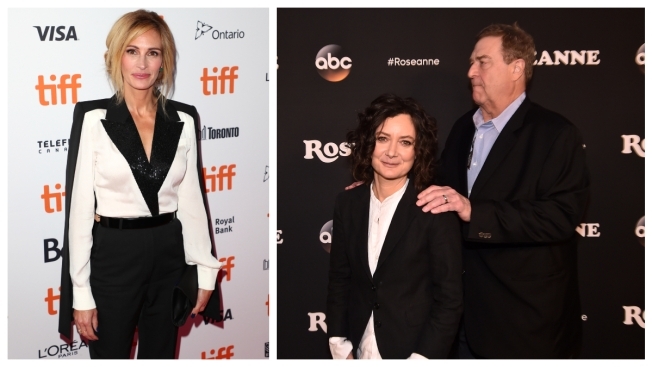 Julia Roberts stars in a new Amazon production while Sara Gilbert and John Goodman pick up the pieces after Roseanne. Jim Carrey stars in his first TV series, Showtime's "Kidding," created by Dave Holstein ("Weeds," ''Raising Hope") and with director Michel Gondry ("Eternal Sunshine of the Spotless Mind") on board for several episodes of the dark comedy. Airing now. NBC will counter at midseason with "The Village," set in a Brooklyn apartment building where "sharing walls means sharing lives." Presumably, it's not in the neighborhood of M. Night Shyamalan's 2014 horror film of the same title. Date to be announced.